Our theater program emphasizes the development of stage-worthy skills through exercises in voice, movement, improvization, and scene study. The Middle School theater curriculum includes three courses: Public Speaking, Theater Ensemble and Theater 8. Students are introduced to basic acting skills and techniques, as well as study pivotal periods in theater history. Students also have the opportunity to participate in all the main stage productions during the school year. Upper School students may join three main stage shows during the school year. 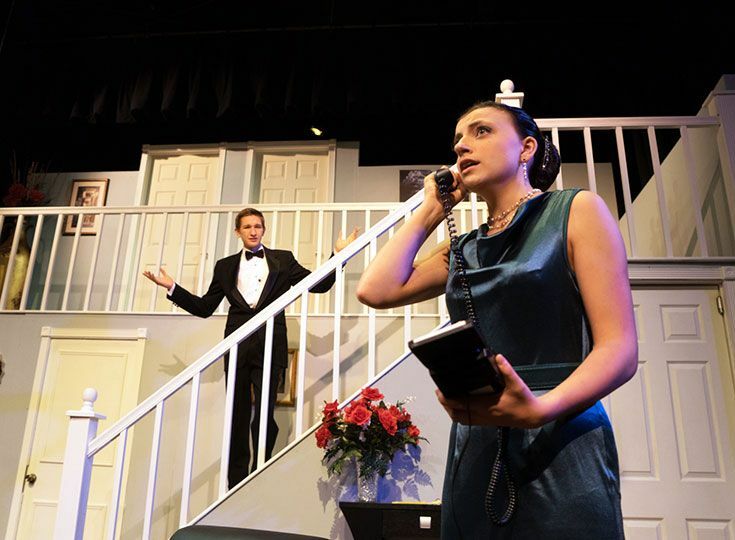 Through these professionally directed productions, students are exposed to the collaborative process by fulfilling performance positions as actors, as well as coordinating and designing the shows’ technical aspects, such as sound, lights and publicity. 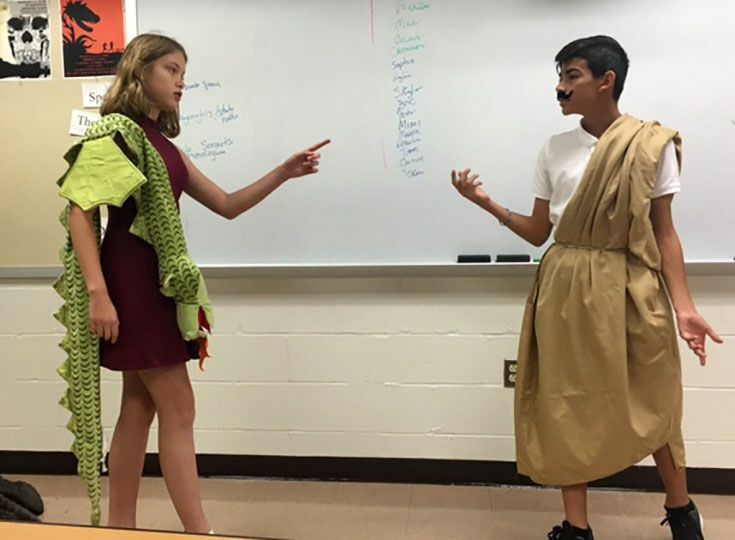 These productions are independent of the theater electives: Playing Shakespeare, Beginning Acting, Advanced Acting and Directing Lab.